Here is a map shows territory of Belarus. interesting map of Vitsyebsk this. detailed map of Zyklino presented. map of Zubaki here. detailed map of Zhurzhevo 1 cm to 1 km this. free map of Zhukova free download. map of Zaozer'ye и OziExplorer calibration here. detailed map of Zamostoch'ye for Garmin. free map of Yesipovshchina и OziExplorer calibration for gps. actual map of Yeremino и OziExplorer calibration here. actual map of Vorony и OziExplorer calibration presented. map of Verkhov'ye here. interesting map of Vasyuty for you. interesting map of Uglyane download for free. 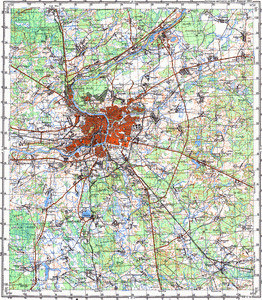 detailed map of Tulovo 1 cm to 1 km download for free. map of Tishkova 1 cm to 1 km for Garmin. actual map of Teterki 1 cm to 1 km download for free. free map of Teshki и OziExplorer calibration for gps.